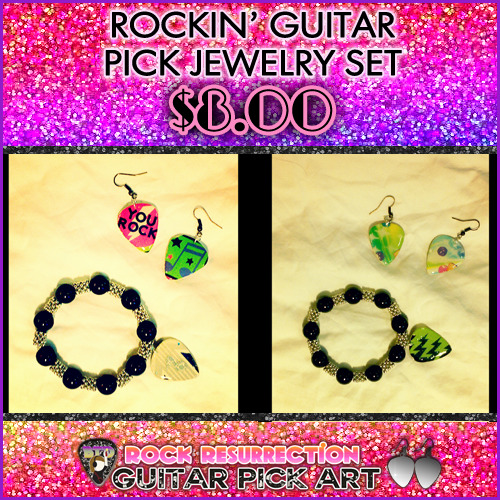 "You Rock" Matching Guitar Pick Jewelry Set! 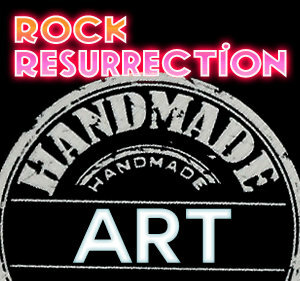 "YOU ROCK" guitar pick earrings made from recycled materials such as a Cosmic Brownies box (and more). The silver and black beaded guitar pick bracelet is also made from recycled materials. Guitar pick pendants are sealed with epoxy resin and painted with a hint of glitter. Earrings are fish hook style.